GRUPOS INCENTIVOS TERRAMAR, S.A. DE C.V. In compliance with the Federal Law for the Protection of Personal Data held by Private Parties in Mexico, this document describes how we collect and use the personal information you provide to us. It also describes what data are and what choices you have to limit the use of such data and the procedure for exercising yours rights ARCO. 1) Responsible for the protection of your personal data. GRUPOS INCENTIVOS TERRAMAR, S.A. DE C.V. (Terramar), with address Carretera Transpeninsular Km. 29.5, Plaza Las Palmas L-35 A, Col. Jesús Castro Agundez San José del Cabo, BCS 23440, México, is responsible of the treatment (use) of your personal data. 3) For what purposes we collect and use your personal data? Promotion and marketing of products and services: Conduct studies and programs are needed to determine the use and consumption habits. Offer new products and services tailored to your interests and needs. 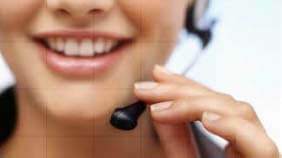 Notify you about new services, tourism activities and products that are related to the already contracted or acquired. Bulletins and news about our organization. If you do not want Terramar to collect your personally identifiable information, please do not provide it to us. 4) What personal information we collect and from where? By phone, E-mail or fax. When you provide your data to us personally. When we get information through other publicly available sources that are permitted by law (telephone directories, websites, etc.). The above list is not all-inclusive and is only intended to provide examples of the personally identifiable information that may be collected on the Sites. Contact information (Name, E-mail, Address, Telephone, Cellphone, Fax) Identity Documents (ID, Passport, Driver´s License, Military ID, Professional License) Economic Data or Financial Information and Payment. (Credit card, Debit Card, checks). Socioeconomic data (Age, gender, income, education level) Job Information (Company, Position, developed activity, CV). Habits, sports, pastime and hobbies. Allergies and special conditions or needs. Electronic records: This information includes purchases of our activities and/or services (made in our points of sale or online), IP Address, with which you Access a website, user´s preferences, kind of browser; activity on the site, images and/or voice records obtained by performing this activities. In Terramar have established physical, administrative and technical procedures to protect personal data against damage, loss, alteration, destruction, or the use, access or unauthorized processing security, while the data is under our control. Regarding to the credit cards information, in agreement with safety rules that have been adopted by manufacturers companies of Credit Cards such as VISA, MasterCard and American Express, we are obliged to obtain, process and store the card information used for payment. Also when you give us your personal information online, that information is encrypted before transmission using a security protocol called SSL (Secure Sockets Layer). We also use SSL for you to see online, safely, your account and registration information. Only through a confidential password, you can access your online account. You are responsible for all the operations than everyone else do on the website, using the password that you are responsible. If you believe that your password is being misused, please let us know immediately. We recommend parents to assume a proactive role in their children's use of the Internet. Terramar does not knowingly collect or solicit Personal Information from anyone under the age of 18 or knowingly allow such persons to use the Sites. If you are under 18 please do not attempt to register on the Sites or send us any Personal Information. Medical and / or psychological history (Health conditions, illness, allergies, and / or medical history) is collected to identify potential hazards in the practice of your activities contracted with us, that might arise from the interaction of medications or other health problems). We require your consent (acceptance) in words to treat your sensitive personal data, and we commit ourselves that your data will be treated under strict security procedures to guarantee your confidentiality. If you do not want Terramar to collect your sensitive personal data, please do not provide it to us. Identify you and make the process of recruitment and selection of staff. Check if you fulfill the profile and the requirements to be hired. Prepare and process your employment application, and if applicable, the employment contract. Send via e-mail or any other ways, information of interest related GRUPOS INCENTIVOS TERRAMAR, S.A. DE C.V., Terramar. Integrate and maintain your personnel file to include this, any incident or modifications present during the existence of the employment relationship. Send press releases relating to activities and events; informative material, of study or work, service notifications, administrative messages, informative bulletins and flashes, articles, reviews, opinions, invitations to social events, academic or work, discussion forums and alike, distinctive of the activity and the purposes of GRUPOS INCENTIVOS TERRAMAR, S.A. DE C.V., Terramar. Allow access to courses, events and / or activities to which they are enrolled. GRUPOS INCENTIVOS TERRAMAR, S.A. DE C.V., and/or Terramar can share your personal data with payroll administration services; recruitment; audit services GRUPOS INCENTIVOS TERRAMAR, S.A. DE C.V., and/or Terramar and others human resource services like Corporativo Grupo T3, S.A. de C.V.
Name, address, age, birth date, nationality, gender, marital status, if you belong to a trade union organization, e-mail, telephone, information of your education level, employment history, references, IMSS, R.F.C. and C.U.R.P. The information provided during the registration process to any programs and promotions is used to do internal studies, about the interests and user behavior; in order to provide products, services, information and publicity tailored to their needs. WHAT PERSONAL DATA AND WHERE WILL WE GET IT? For the purposes outlined in this privacy notice, the information will be collected in different ways “The Sites”: when you provide it to us personally; when you visit our subdivisions, information modules, use the mailbox for complaints and suggestions, or when you visit our website terramardestinations.com and use our online services or any our brands or affiliates websites. 6) How to Access, Rectify, Cancel or Oppose the use and processing of your personal data (ARCO Rights) or revoke your consent for the processing of your data? You have the constitutional right to Access and know the personal data that we possess accurate and details of treatment and use thereof as well as to Rectify and correct if inaccurate or incomplete; Cancel and delete if found not to be required for any of the purposes outlined in this privacy notice, or being used for purposes not authorized by you or have completed the contractual or service or, Oppose the processing of them for specific purposes. How can you limit the use of your personal data disclosure? If you wish to stop receiving messages from us that are not essential to provide the aforementioned services, send your request to our Department of Protection of Personal Data where we will be informing you of the mechanisms implemented for it. How to revoke consent to the processing of personal data? If you wish to revoke the consent granted us the use of their personal data, send your request to our Department of Protection of Personal Data where we will be informing you of the mechanisms implemented for it. 7) Transfer of personal data. Companies that provide outsourced services to us. If any of these providers require your personal information, we will require that provider to use your personal data only to the extent that such use is necessary for the execution of the service or contract activity. To our affiliates and companies belonging to the Grupo Corporativo. Terramar may share your personal data with any of our affiliates and / or companies that belong to our same corporate group. Please note that if you ask us to make a transaction on our site or at some point of sale, data transfers will be necessary to process your order and comply with the duties and obligations we assumed to you. Visible advertisements in our stores or customer service centers. We will send them to the last e-mail you share with us. Cookie -- A "cookie" is a small text file that may be used to collect information about your activity on the Sites. For example, when someone visits a page within the Sites, a cookie is placed on the user's machine (if the user accepts cookies) or is read if the user has visited the Sites previously. You may set most browsers to notify you if you receive a cookie, or you may choose to block cookies with your browser, but if you do, you may not be able to take advantage of the personalized features enjoyed by other users to our Sites. Some of the cookies we use may be flash cookies or Adobe cookies. While they are harmless, they may contain non-personally identifiable information and depending on your browser these cookies may not normally be deleted when your cookies are deleted. Please check your browser to determine where these types of cookies are stored and how they may be deleted. Product Information – we may collect registration information or other details about your product or service. Unless this information is tied to your name or address, it is not considered personally identifiable. Kind of browser, OS, web pages you visit, origin of the visit, IP address, time spent in our site and other statistics data. The above list is not all-inclusive and is only intended to provide examples of the non-personally identifiable information that may be collected on the Sites. 9) To whom you may lodge complaints and submit grievances in case of misuse of personal data? If after exercising your ARCO Rights to GRUPOS INCENTIVOS TERRAMAR, S.A. DE C.V. through mechanisms set forth in this Privacy Notice, you think the response has been unsatisfactory or incomplete; or presumably your right to protection of personal data has been injured by any conduct or action on our part; or has evidence that exists in the processing of your personal data any violation of the provisions of the Federal Law on Protection of Personal Data Held by Private Parties, you may file a grievance or complaint at the IFAI. For more information visit: ifai.org.mx. Last modification: March 25, 2014. Reserve one of our fleet of nice model SUV’s, Vans and large Motor Coaches today for your next business outing or shopping trip to Cabo. Terramar offers a six-passenger sport utility vehicle that delivers ample space without sacrificing style. 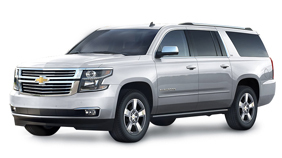 Our Chevy Suburban SUVs seat six adults plus luggage, perfect for escorting a family to the airport. Reserve one today.